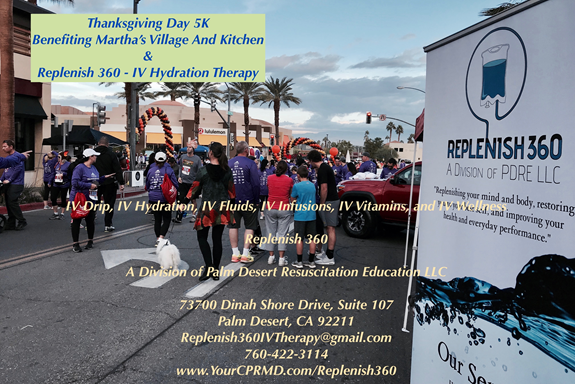 Replenish 360, A Division of PDRE LLC, was honored to be a part of the 2018 Thanksgiving Day 5K Benefiting Martha’s Village & Kitchen. 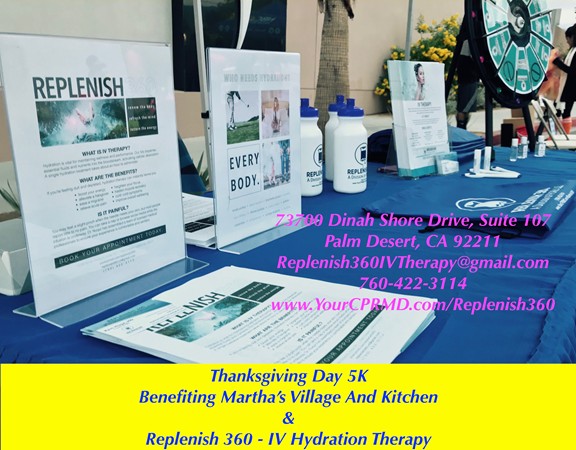 We are proud to help raise money and awareness to one of our local nonprofit affiliates, Martha’s Village and Kitchen, to provide homeless services in the Coachella Valley and Riverside County. 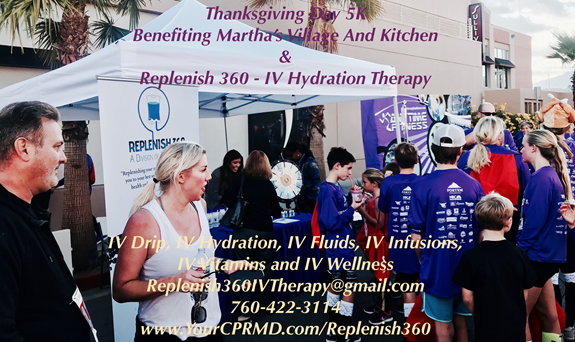 Martha’s Village and Kitchen justly and charitably serves meals to their homeless and indigent neighbors and provides one-of-a-kind programs that break the cycle of impoverishment and homelessness. 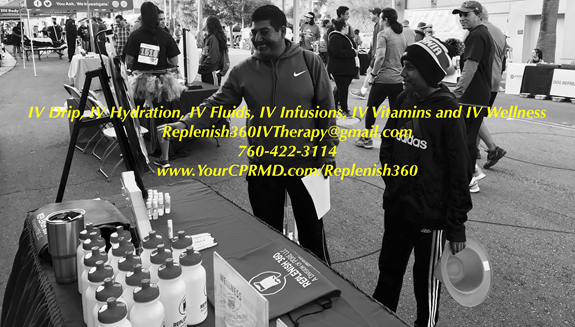 “Hundreds of men, women, and children, along with several dogs and one cat – YES, there was a cat there too – showed up early on Thanksgiving Day to run, walk and trot a 5K route with the proceeds benefiting Martha’s Village and Kitchen (Martha’s). Martha’s began in 1990 when the founders began serving food to their homeless neighbors. And it grew from there. They now have 120 beds to offer the homeless a safe place to sleep. Meals are provided to over 6000 locally impoverished adults and children annually. Holiday meals such as Thanksgiving and Christmas are huge events and help those in need feel part of the community. 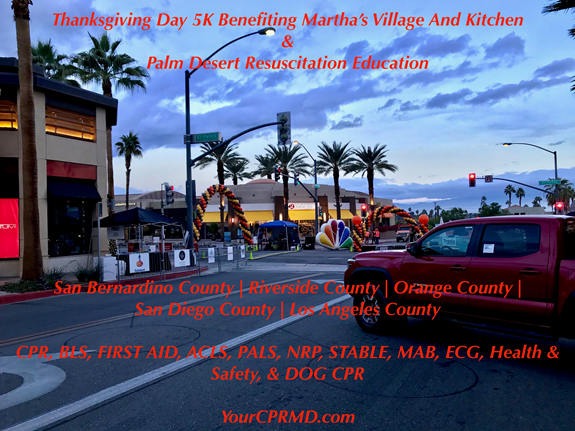 Martha’s Village & Kitchen is one of the largest providers of homeless services in the Coachella Valley and Riverside County. Martha’s began in 1990 when the founders served meals to their homeless neighbors. 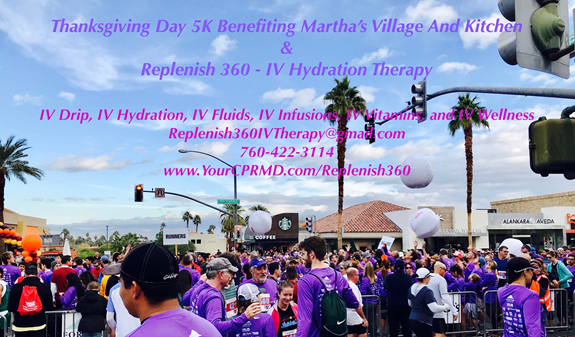 Today, from its campus in Indio, CA, Martha’s Village offers unique life-changing programs based on the nationally recognized “continuum of care model” breaking the cycle of homelessness. Martha’s is a safe, welcoming environment for impoverished and homeless families, children, and individuals, providing a proven robust selection of housing, education, and support services so that they are empowered to transform their lives with dignity. 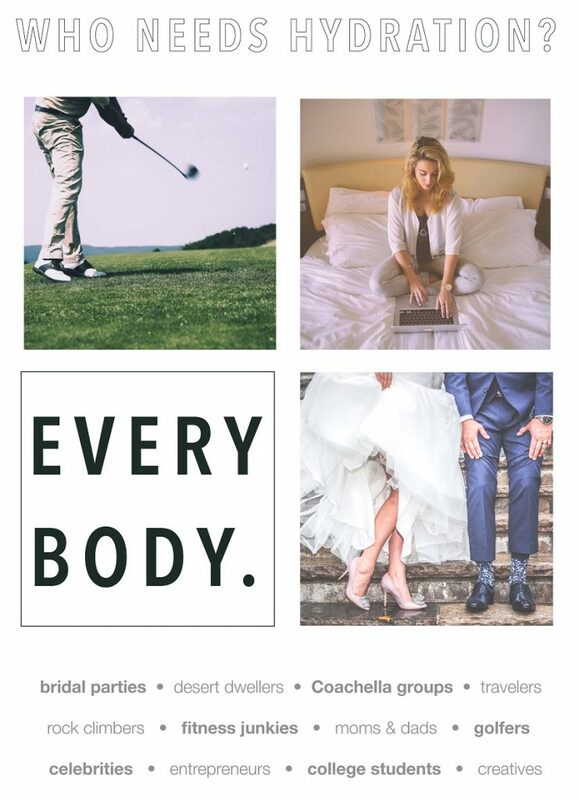 Martha’s collaborates and partners with other organizations and agencies to leverage resources and fill gaps to ensure the effectiveness and long term sustainability of the organization and to break the cycle of poverty for the people we serve.